This is the public profile of Zp Studio, Additional information and high-resolution images are available for accredited press members, to access additional information about Zp Studio please login as a press member. Through design practice zpstudio is committed to creating ideas and spaces as interventions on the sceneries of everyday life. Our mission is to exploring the potential offered by design as an communication tool, frequently ranging through different scales. 2010 Ten Design Stories from Florence, curated by Facoltà di Architettura di Firenze, Comune di Firenze- Assessorato alla Cultura. Florence, Ex Murate Estate, january 16, 2010. 2009 La città originale, edited by S. Risaliti and P. Brugellis, Florence – Le Pagliere, may 29 to june 10. 2009 Designersblock, Milan Salone del mobile, Spazio Revel – Scalo d'Isola, Milan. 2008 Designersblock, Milan Salone del mobile, ex-Piscine Argelati, Milan zona Tortona, April 17-21, 2008. 2007 Designersblock at 100% design, Handled with care – Contemporary ceramic works, curated by Designboom, September 19-23, 2007, London UK. 2007 Festival of Creativity, Florence - Fortezza da Basso, 25-28 Ottobre 2007, TATUT! (Advanced Transformation of Tuscan Urban Territory) Exhibit and workshop. 2007 Florence Exit – Signals and ferments coming from a new architects’ rising generation, exhibit and meeting, Florence – Affratellamento Theatre, May 23 to June 1 2007. 2006 Stalag city, installation at Spazio Oltrevisore, SESV Architecture Gallery, Faculty of Architecture – University of Florence, Italy, October 2006. 2006 Festival of Creativity 2006, Florence, Italy - Fortezza da Basso, november 30 to 28 2007, TATUT! exhibit and workshop. 2005 The Storytellers, Beyond Media 05 Script, 8. International festival of architecture and media, Florence, Italy, december 1-11 2005. Florence, Italy, december 1-11 2005; with 8x8 network. 2005 8x8 – The scale of living, de Bardi Palace, Florence, Italy, with 8x8 network. 2004 I.dot Start up. The tasteful part of italian design”, may to december 2004, Chelsea Art Museum, New York. 2003 Intimacy, Image Beyond Media 03, 7. International festival of architecture and media, Florence, Italy, oct.2-12 2003. 2003 The home is mobile, Abbey National bank Design gallery, via Orefici, Milan. 2003 Let’s give a chance, Base contemporary art gallery, Florence, Italy. 2003 Working Insider, curated by Sergio Risaliti, Florence, Italy. 2002 Biennale di Venezia Next with Faculty of Architecture of Florence – Architecture Design Department. 2002 Now – Design à vivre, Maison et object 2002, Paris, France. 2001, 2002 e 2003 Milan Furniture fair, Milan, Italy. 2009 Apriti IED, European Design Institute, Roma, via Alcamo 11, June 24, 2009. 2008 Spot on Architecture, zpstudio/Firenze e BRH+/Torino, Design class – Florence School of Architecture, prof. Polazzi-Mannocci, may 28, 2008. 2008 Gilles Clement - Nine Planetary Gardens, Forum at SESV Gallery, Piazza Ghiberti, 27, Florence, with Florence French Institute and LEF, February 12 2008. 2008 Visions on the flow of the river, California State University, Florence, January 21 2008. 2007 TATUT! (Advanced Transformation of Tuscan Urban Territory) Teatro Studio, Scandicci, Florence December 11, 2007. 2005 Words of Architecture – The new generations, Opencity 2, Scandicci, Florence, June 2005. 2004 The sustainable city through the eyes of an artist, curated by S. Bottinelli e P. Gaglianò, Florence - Fortezza da Basso, December 2004. 2006	Concorso internazionale di idee Living as tourists, Uniadrion e Dipartimento di Architettura e Pianificazione territoriale, Bologna. Progetto selezionato. 2006	Toshiba with aedo-to competion workshop a inviti, terzo premio. 2004	‘I.DoT Start up’, The tasteful part of Italian Design, Chelsea Art Museum, New York, progetto selezionato. 2004	International design competition ‘SkyOffice’-the office of tomorrow, quinto premio. 2004	‘Open living in container’ -Tokyo Designer’s week, terzo premio. 2004	JVC ‘La videocamera del futuro’, competion workshop su invito, menzione speciale della giuria. 2003	TCI with aedo-to competion workshop su invito ‘Regulate light’, menzione speciale della giuria. 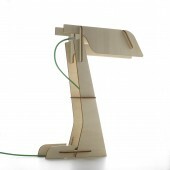 2003	‘Grandesign’, Salone del mobile, Milan, primo premio per la lampada Spot-it, Lumen Center Italia. 2002	‘Best of Now’, Design à vivre, Paris, primo premio per la lampada Spot-it, Lumen Center Italia. 2000	La città del terzo millennio, Biennale di Venezia Less aesthethics more ethics, progetto selezionato. 2001	Il negozio della pioggia – Allegri weather point, Concorso internazionale per l’immagine coordinata dei negozi Allegri, primo premio. Press Members: Request an exclusive interview with Zp Studio.